Apple has just announced Apple Pay will be coming to the UK in July this year, launching with eight of the biggest banks. It'll be available in 250,000 locations across the UK – that's more than it launched with in the US. Apple has also renamed the Passbook app to Wallet, while adding in loyalty and reward card compatibility as well. Apple announced it's adding in a load of new traders in the US, including Best Buy, Trader Joe's and JC Penney. 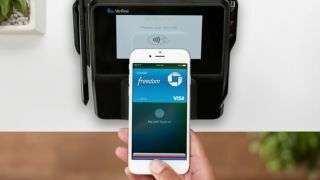 Apple Pay will soon be available in more than a million locations across the US. Check out our WWDC 2015 live blog!